Lovingly maintained & upgraded detached home. Move-in ready! 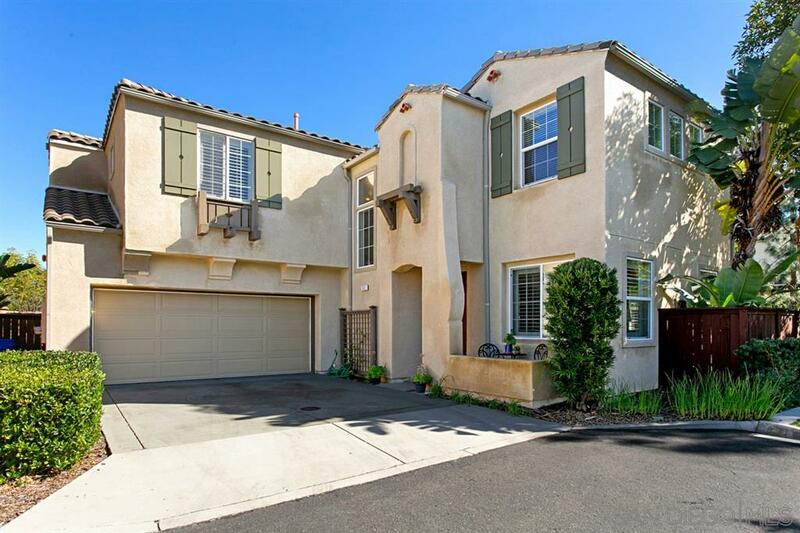 Located in desirable Crescent Court neighborhood, San Marcos. Great location with no home behind for wonderful privacy. Large open kitchen features granite counters, SS appliances & breakfast bar. Cozy family room w fireplace & prewire for sound. All new carpet, plantation shutters, ceiling fans in all bedrooms & central AC Upstairs loft w/built in desks & cabinetry for kids study area, home office or 5th BR. See supplement, Clean and Pristine and move in ready! Convenient upstairs laundry room. Attached roomy 2 car garage with storage. Walking & biking trails nearby along with abundance of shopping, restaurants, train station. Private end location next to park area with playground & volleyball court. Low HOA and Mello Roos fees. Beautifully maintained property in a lovely newer enclave of homes.